Steve Ogilvie is an experienced senior manager within the social care field, and has been responsible for the development of a range of social enterprises. 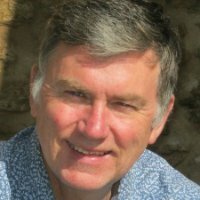 ​He has worked for a number of leading charities and is also an experienced freelance consultant. He is a non executive director for the Taunton Association for the Homeless. Steve has an MSc in Disability Management in Employment and Rehabilitation and an MBA. Steve wishes he was part of Cannington in Bloom but he lives too far away.